Medicare is a blessing to many seniors, but navigating all of your options and deciding on a plan can be extremely overwhelming. How are you supposed to know which plan you need, which insurance companies to trust, and how to enroll? There are many things to consider when choosing your plan and nearly endless options when you look beyond the basic federal program. Hopefully, this guide can clear up a few things and point you in the right direction. To start, it’s important to know what kinds of Medicare plans are available in your area. The government website Medicare.gov provides a handy search tool for finding Medicare Part C and Part D plans. This can help you narrow down your choices based on certain criteria, such as whether you need drug coverage and which pharmacies you would like included in your plan. Take a look at this useful step-by-step guide for help using the search tool. Original Medicare, also called Medicare Part A and B, is the most basic coverage provided by the government for seniors 65 and older. 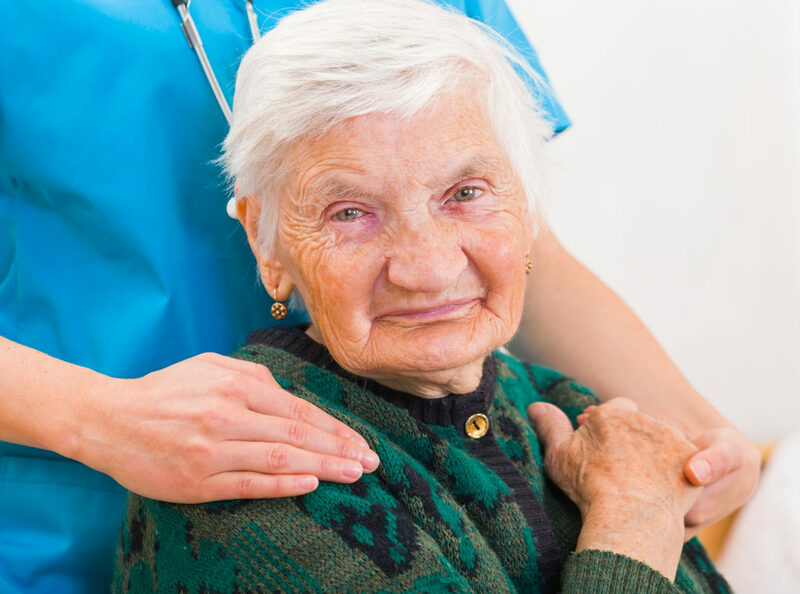 Original Medicare covers things like hospital stays and outpatient doctor’s services. Most people will not have to pay anything for Part A, but everyone must pay a monthly premium for Part B. It’s also important to understand that Original Medicare will not pay for 100 percent of the services it covers; you will still have out-of-pocket costs from deductibles and copayments. This is why many people supplement their Medicare plans. Medicare Advantage plans are offered by private insurance companies and are similar to health insurance plans you may have signed up for in the past. In addition to everything covered by Medicare Parts A and B, Medicare Advantage plans offer additional coverage for things like hearing, vision, and dental. These plans may also include daily living assistance and lifestyle support, such as transportation or meal delivery services. US News explains the pros and cons of Medicare Advantage based on different criteria you may have. You’ll notice that many Medicare Advantage plans have no premiums. These can be a good option for people who are healthy and looking to save money while still being protected from large medical expenses. These zero-premium plans typically have high deductibles, meaning you’ll have to pay more for your services before your plan will cover the rest. 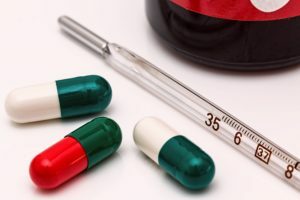 Choosing a plan with a higher premium may be a better option if you have a chronic condition or some other reason to require regular medical care. Medicare Part D, which is also offered by private insurance companies, covers prescription drugs. You can add Part D to your Original Medicare plan. 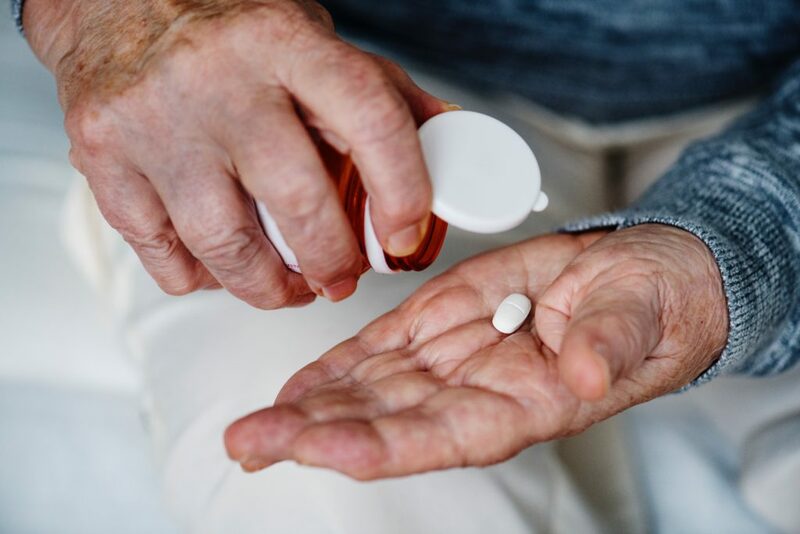 However, the majority of Medicare Advantage plans include Part D. According to Investopedia, the costs associated with Medicare Part D are fairly similar to the premiums, deductibles, and copayments of any standard medical insurance plan. Before picking a plan, it’s important to consider the particular drugs you need to be covered since certain plans cover different drugs. Using the Medicare.gov search tool mentioned above can help you find Part D plans that will cover your prescriptions. Finally, Medigap is yet another option for supplementary coverage offered by private insurance companies. 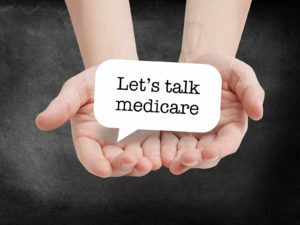 Medigap specifically covers the gaps in Original Medicare. This can be beneficial for people who anticipate future chronic conditions and are worried about expensive healthcare needs. There are several Medigap plans to choose from, so think carefully about the kind of coverage you need most. Some plans have coverage for travel emergencies, whereas others are better for covering the deductibles and copayments from your Original Medicare plan. Getting the most out of Medicare means taking the time to learn about your plans and coverage options. Continue to do your research and check out some of the resources mentioned here. 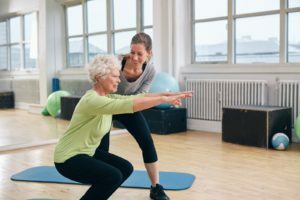 Although it will take some serious planning to evaluate your choices, consider your criteria, and anticipate your future care needs, this will help you secure your health for the future. This entry was posted in News, News & Recent Events, Sage Education and tagged news on February 13, 2019 by Kelsey Pearson. 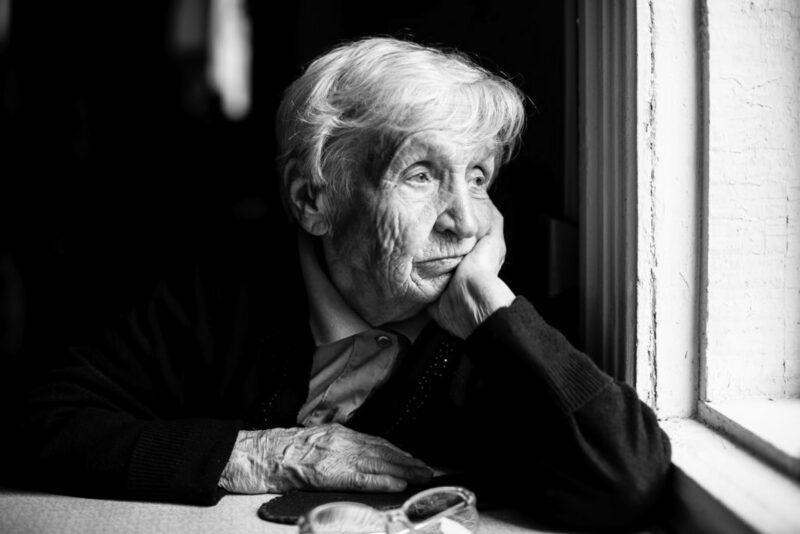 We are excited to announce our fourth annual Images of Aging Photo Contest and hope you will enter! To enter, submit a photo of a senior(s) and their favorite pet. During the first week of March, you and everyone else can vote for your favorite entries. You can even share your uploaded photos with your friends to boost your votes. The winning photo recreation, as determined via Facebook/Instagram (likes), will receive $200 (USD) in the form of a gift card. Two additional winners, as determined via the Sagepoint Community and Sagepoint Staff, will each receive $50 (USD) in the form of a gift card. Entries must be submitted electronically via our submission form below. There is no entry fee, however individuals may only submit one (1) entry into the contest. The contest ends Wednesday, February 28, 2019 at 11:59 p.m. EST (U.S.). This entry was posted in News, News & Recent Events and tagged news on January 31, 2019 by Kelsey Pearson. 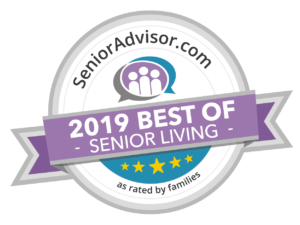 Sagepoint Senior Living Services was selected as a 2019 Best of Senior Living Award winner by SeniorAdvisor.com. 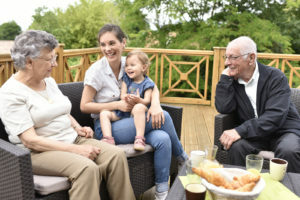 The Best of 2019 Awards celebrate the communities and agencies that have consistently received outstanding feedback from families on the SeniorAdvisor.com website. Of the nearly 45,000 communities currently listed on SeniorAdvisor.com, just over 1,600 were recognized with this prestigious award. This exclusive designation places the winners in the top one percent of senior care providers according to those who matter most – their families. This entry was posted in News, News & Recent Events and tagged news on January 24, 2019 by Kelsey Pearson. 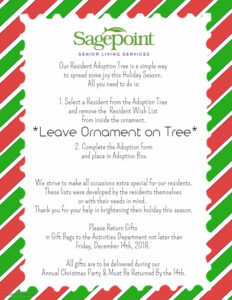 Sagepoint Senior Living Services is excited to announce that our Resident Adoption Tree is now up! We strive to make all occasions extra special for our residents and the Adoption Tree is a simple way to spread joy among our facility this Holiday Season. The program helps us ensure that every single resident will have something for them under the Christmas tree. The wish lists were developed by the residents themselves or with their needs in mind. 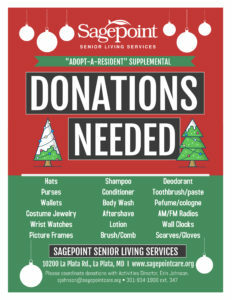 Adopt a resident today and help us brighten their holiday this season! 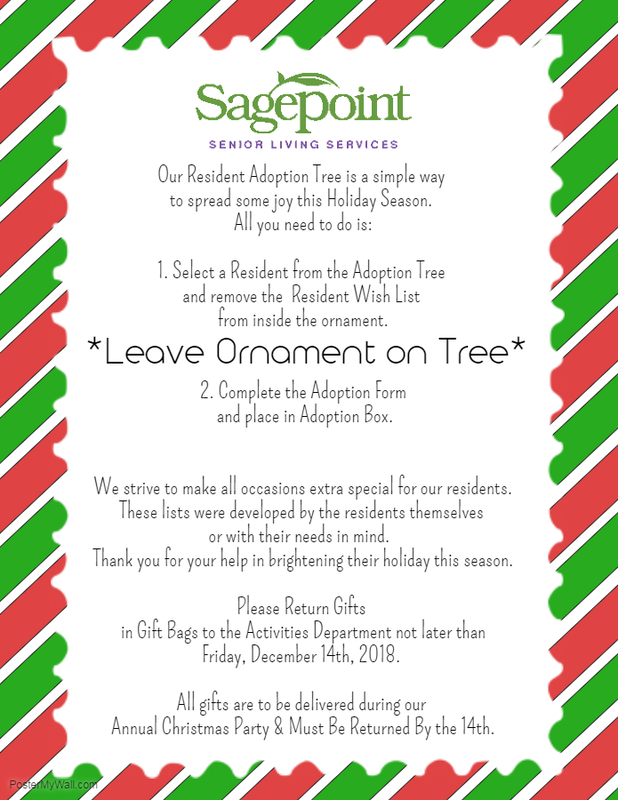 If you are interested in adopting a resident for the holidays, come in and select a resident off the Resident Adoption Tree or email Erin Johnson, Activities Director, at ejohnson@sagepointcare.org. Upon adopting a resident, you will receive the Resident’s Wish List and we ask that you return gifts wrapped in gift bags by Friday, December 14, 2018. The gifts will be delivered during our Annual Christmas Party. In addition to resident adoptions, supplemental donations are also needed to ensure equality among the gifts received by each resident. These include personal items, bathroom accessories, and comfort and room decor. A full list can be found below. This entry was posted in News, News & Recent Events and tagged news on November 19, 2018 by Kelsey Pearson. La Plata, MD (October 23, 2018) – The Governor’s Office on Service and Volunteerism hosted the 35th Annual Governor’s Service Awards on Tuesday, October 16th, to celebrate the outstanding volunteer contributions of Maryland residents and organizations. This year, 170 nominations were submitted. We are proud to announce that our very own board chair, Carolyn Core, was recognized for her significant contributions to our organization! Carolyn’s service to both Sagepoint and the community we serve has gone above and beyond her board commitment and we are so very appreciative of her continual selfless service. Since her time as chair of the board, Carolyn has initiated Sagepoint’s Advisory Committee; started an annual review of the performance of the board; increased the board’s diversity; prepared for the transition of the organization’s CEO; and taken the lead in orchestrating contact between Sagepoint and The University of Maryland’s Charles Regional Medical Center to implement effective relationships so that each individual in Sagepoint’s care is ensured the highest quality of care. Carolyn also played a vital role in the development of Sagepoint’s new assisted living community, the expansion of its existing rehabilitation center, and the recent kick-off of a philanthropy program. 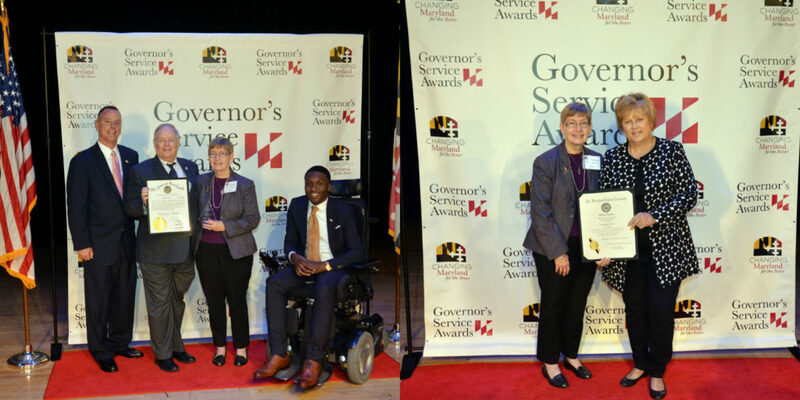 For more information on the Governor’s Service Awards, visit: www.gosv.maryland.gov/governors–service-awards-recipients-2018. This entry was posted in News, News & Recent Events and tagged news on October 23, 2018 by Kelsey Pearson. “I knew Sagepoint was there, but I really didn’t know much about it,” says Barbara Howell, a lifelong resident of La Plata. That changed in September 2015 when her husband of 43 years, Edward, suffered a massive stroke. After a brief hospital stay and a short time in an out-of-state rehab facility, Ed came to Sagepoint. He spent two months undergoing speech, occupational, and physical therapy. Because of the high costs of the care we provide and the limitations of government funding, we’ve set a goal to raise $1 million to enhance and expand care for our patients and residents by 2021. The first phase of this campaign we are calling Forever Grateful and our first goal is to raise $150,00 by the end of 2018. 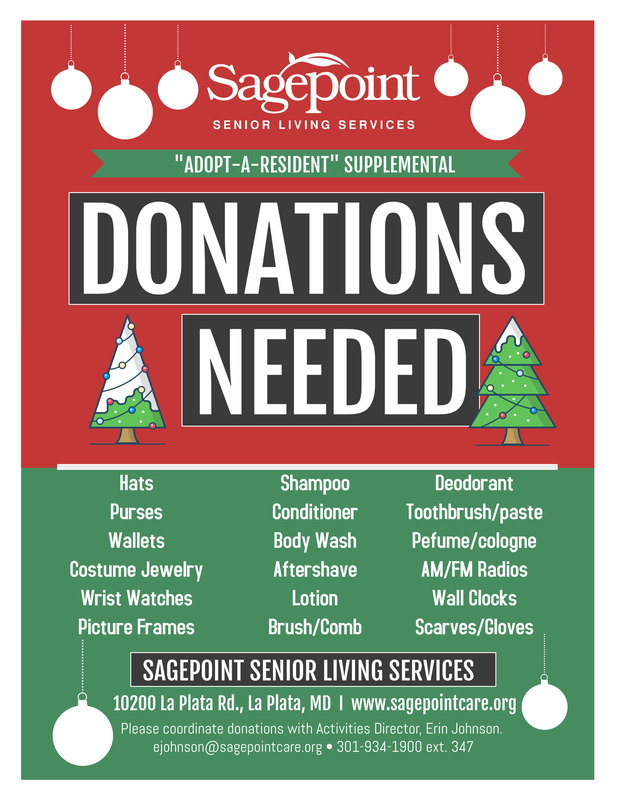 We know that you can’t give to every worthy cause, but as you consider your year-end donations, please consider donating to Sagepoint. This entry was posted in News, News & Recent Events, Sage Education on October 22, 2018 by Kelsey Pearson. Karen Shifflett remembers her second wedding anniversary all too vividly. She sat at her husband’s beside in a hospital intensive care unit. Driving home from work in February 2013, John’s car was struck by a train in Brandywine, MD. John arrived still very much in a “vegetative” state. After two months of speech, occupational, and physical therapy, he was eating a soft diet, sitting up, and responding to his family. Today John continues to improve with the help of a walker and a wheelchair. He attends Sagepoint’s Adult Day Services every Saturday. Karen calls him a “100% miracle” and credits the staff and aides at Sagepoint. This entry was posted in News, News & Recent Events, Sage Education and tagged news on October 22, 2018 by Kelsey Pearson. When Miriam Kimball’s father grew increasingly fragile from Parkinson’s disease, she moved him from a Pittsburgh nursing home to Sagepoint. Her mother, Miriam Donnellon, soon became a fixture there. Her daily visits cultivated close relationships with the staff, so close, in fact, she often invited staff members to her home for tea and cookies. Years later after her father passed away, her mother needed care for severe dementia. Miriam Kimball again chose Sagepoint. La Plata, MD (October 8, 2018) – The Southern Maryland Workforce Development Board has elected Michelle Nicholson, Sagepoint Senior Living Services Director of Human Resources, as the organization’s new Board Chair. Unanimously elected during their September meeting, Nicholson will serve a three-year term as Chair of the Board. Nicholson is an empathetic, innovative and deliberate human resources professional with over 10 years of progressive experience in human resources management. She is a thought leader with a proven track record of talent engagement and motivation, strategic human capital planning and employment law expertise. Nicholson received a Master of Arts degree from Webster University in Human Resources Management and a second master’s degree in Human Resources Development. Her formal training is an added benefit to her high degree of professional integrity and insightful strategy to build collaborating teams to improve organizational efficiency and human interaction. Her purpose is to uplift, inspire, encourage and support others to be their best self. She hopes to motivate others to strive for their secret and known dreams irrespective of challenges and obstacles. The Workforce Development Board provides oversight and funding direction to Southern Maryland JobSource and has representatives from education, public sector leaders, organized labor, and leaders and advocates for workforce development. For more information about the Workforce Development Board, visit www.tccsmd.org. This entry was posted in News, News & Recent Events and tagged news on October 8, 2018 by Kelsey Pearson. La Plata, MD (June 1, 2018) – The Board of Directors of Sagepoint Senior Living Services has appointed Andrea Dwyer President and Chief Executive Officer. Dwyer will be responsible for providing leadership, strategic direction and management to ensure the mission and core values of Sagepoint are operationalized. 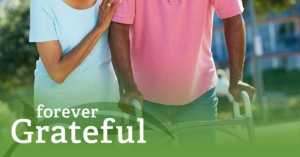 Dwyer brings to Sagepoint Senior Living Services 20 years of experience in long-term care. 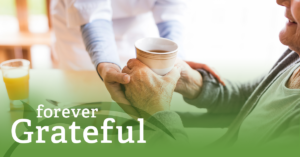 She has been licensed as a Nursing Home Administrator since 1999 and has held executive leadership positions in continuous care, rehabilitation, and assisted living communities. 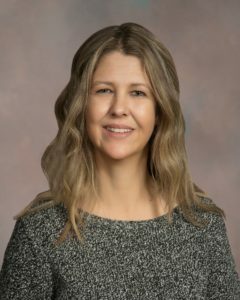 Most recently, Andrea has served as Sagepoint’s Interim President, CEO and Licensed Nursing Home Administrator since January 2018. 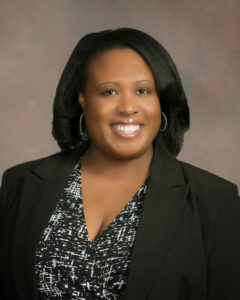 Dwyer earned her Master’s in Business Administration from the University of Maryland and received her Bachelor of Arts in International Studies/Business from Towson University. Dwyer managed the organization successfully through the recent transition process including navigating Sagepoint’s new Rehabilitation Center to its much-anticipated opening this week. This entry was posted in News, News & Recent Events and tagged news on June 6, 2018 by Kelsey Pearson.